Promoting an education grounded in the Humanics philosophy of educating students in spirit, mind, and body for leadership in service to others, Springfield College provides students with a well-rounded college experience that sets them up for success. • Springfield College is the first choice of 75% of its first-year students. • There are 2,230 undergraduate students, 1,020 graduate students, and 1,000 School of Professional and Continuing Studies students at Springfield College. • Students come from 33 states and 21 countries, mostly from the northeastern corridor of the United States. • More than 87% of first-year students on the main campus return as sophomores, and 70% of them complete their degrees within four years, which is above the national average. • Most students live on campus (85%), with 96% of first-year students residing on campus. • Springfield College faculty members are recognized experts in their fields, known nationally and internationally. • There are 211 full-time faculty members, 85% of whom have earned the highest degrees in their fields. • The faculty provide close personal attention with a student-faculty ratio of 15:1. • More than 50 opportunities for student involvement include academic-interest clubs, special-interest clubs, special-event clubs, honor societies, campus publications and media outlets, performing arts, and more. • An ongoing series of visual and performing arts programs, open to the public, includes concerts, art exhibitions, theater presentations, film festivals, and readings by noted authors. • Springfield College offers 26 varsity sports for students, 11 club sports, and extensive intramurals. • The College competes in Division III of the National Collegiate Athletic Association (NCAA) and is a member of the Eastern College Athletic Conference (ECAC) and the New England Women’s and Men’s Athletic Conference (NEWMAC). • Faculty and alumni have played active roles in the Olympics as athletes, coaches, trainers, sports psychologists, officials, members of the United States Olympic Committee (USOC), and volunteers. • The outstanding coaching staff also teaches, and many have received regional and national coaching awards. • A total of 96% of recent Springfield College students found employment or enrolled in graduate school within six months of graduating. • The Career Center offers students assistance and guidance throughout their academic experience so they have résumés prepared and interview skills developed when they graduate. • Forming a network around the world, Springfield College’s more than 45,000 graduates live in most US states and many countries. Alumni events around the nation keep graduates connected to the College and each other. • Undergraduate tuition at the main campus in Springfield was $36,920; room and board was $12,550. • 100% of new students receive some form of financial aid. • On average, the Springfield College financial aid package is $28,400, which accounts for scholarships, grants, and loans. After the package is applied, the average cost—based on tuition, fees, and standard room and board—is $21,595. Some aid packages may be more or less than this amount. 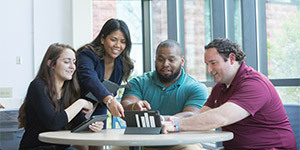 With more than 40 undergraduate programs, first-rate facilities, and 100 acres of picturesque New England campus, Springfield College is set apart by its reputation for educating tomorrow’s leaders in some of the most vital, stimulating career fields and its commitment to real-world service. Graduates enter the workforce or advanced education with a competitive advantage thanks to top-quality academic preparation and experience in their fields. As early as their first year on campus, students put classroom learning to practice through field work and service learning. This experience helps catapult graduates on to great things, with 96% of recent Springfield College graduates finding employment or enrolling in graduate school. Springfield College also promotes volunteerism, with students contributing a combined 120,000 hours of community service annually, which provides vital support to, and enhances quality of life for, community members. The College received the 2016 Presidential Award in the education category of the President’s Higher Education Community Service Honor Roll, the highest federal recognition a college or university can receive for its commitment to volunteering, service learning, and civic engagement. The world is your campus at Springfield College. Though located in Springfield, Massachusetts, the College has a rich history of its students participating in internships, learning experiences, field work, clinical rotations, and study abroad opportunities across the globe. On campus, students work closely with faculty members who are experts in their fields and always willing to provide one-on-one service to help students achieve their academic goals. Learning Commons provides students with a hub for all their academic needs, from Library Services to the Academic Success Center. 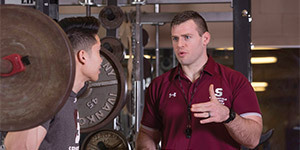 In addition to its stellar academic reputation, Springfield College offers a vibrant campus life, including a rich array of cocurricular activities, health and wellness programs, arts and cultural events, and one of the largest athletics programs in the nation for a midsize college. There are several dining and snack services, and the main dining facility offers an excellent variety of creative, fresh food stations to accommodate individual dietary preferences. In addition, the Flynn Campus Union includes an extensive food court with a two-story atrium, bookstore, spiritual life center with meditation room, convenience store, post office, conference rooms and lounges, and activity space. Ten residence halls offer coeducational living options as well as relatively independent living for upperclass students. Extensive athletic and recreational facilities include the Wellness and Recreation Complex, comprised of a Field House and Wellness Center, and considered to be the finest of its kind in the country. It includes strength and conditioning facilities, a six-lane running track, multipurpose courts, classrooms, laboratories, and more. There are also playing fields with synthetic surfaces; a six-lane, 50-meter pool; a 2,000-seat multipurpose arena with upper-level jogging track; a gymnastics center; a wrestling room; and racquetball/handball and tennis courts. There are baseball and softball fields, an eight-lane outdoor track, and indoor batting/pitching cages. For arts studies and programs, the Fuller Arts Center hosts performances, and the Visual Arts Center contains studio workspace and an exhibition center.